Even after finishing, it's difficult to pin NERO down to a concept or feeling that's easy to explain. It's a game that prioritizes emotion above all else, and it does so wonderfully. But as the boy at the heart of this tale learns, emotions are tough to understand, and thus NERO is tough to understand. You'll just know that you felt something, and that sensation alone is worth the journey. N.E.R.O. relies on philosophical lessons in order to create its story, but in terms of gameplay it feels too clumsy and simple. 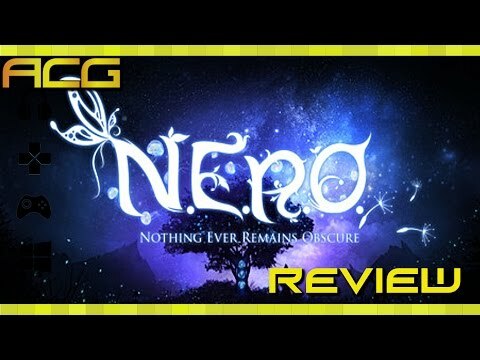 NERO is pretty to look at but is decidedly lacking when it comes to substance or involving players in the intricate story it's trying to tell. 'Nero' may have some rough edges and frame rate problems, but the brief experience offers a genuinely affecting story that lives up to the 'interactive novel' billing. A visually beguiling though relaxing explorative adventure, N.E.R.O fails to properly capitalise on its unique setting as its simple puzzles, brief duration, and lack of replayability ultimately damages its long-term appeal. N.E.R.O. intrigues as an interactive visual novel, but it fails in its attempts to be a game. The puzzles here are laughably easy, and they subsequently get in the way of the storytelling. There are some beautiful cutscenes and an interesting story here, but they're too often impeded by unenjoyable gameplay. Nero calls itself an interactive story, and does fine by itself with the story aspect, however interaction is sorely lacking. Nero is an ambitious project and an obvious labour of love, and may be a worthwhile purchase for any gamer with a taste for story and mature subject matter, but be prepared for painfully dull puzzles and a few other blunders. A little below the technical standards of this generation, and not so brilliant in terms of puzzles, N.E.R.O. manages to narrate an intimate and devastating tragedy, in a very touching way. NERO is not fun. NERO might have a powerful story. NERO might look pretty. But NERO is not fun. Nor enjoyable. Or engaging. Or really anything that may have driven me to want to keep playing. The only thing that kept me playing was the review, because dammit I'm a games writer and that's what I do. For its few successes in deep storytelling and pretty visuals, it fails to come together in any meaningful way. Less interactive than a game. Slower to consume than a book. Not as visual as a movie. NERO takes storytelling's greatest mediums and takes away the reasons you would use each particular canvas to tell a story. The result is a slow technical mess that has something deep to say but doesn't know how to say it. A few interesting puzzles can't save Nero from being an overwritten, mawkish plod that runs so poorly on the Xbox One it's tough to play without feeling sick. I wanted to like Nero, I really did, but as the credits rolled all I could do was wish I could get my two hours back. As a visual novel and piece of fiction, NERO is an absolute treasure. As an actual game, though, it is almost a complete disaster, with slow, boring gameplay and technical hiccups abound. N.E.R.O. has the potential to be very deep if you can connect with it and fully understand it. Nero should be experienced, but never under these circumstances. N.E.R.O is a short game that can be completed in a handful of hours, but there is a lot more to the game than meets the eye. The game is well worth your time and I was very happy that I got a chance to do this N.E.R.O. : Nothing Ever Remains Obscure review because this is a great game you have to play on PlayStation 4. I had a good time with N.E.R.O. Sure, some people don't like the "walking simulator" genre in which the game will probably be included, but for me, it felt more like an interactive visual novel with a solid narrative that kept me interested from start to finish. After doing my N.E.RO. : Nothing Ever Remains Obscure review, I can wholeheartedly recommend that you buy this PlayStation 4 release. N.E.R.O. fails at generating an exciting or mentally challenging experience, but it really doesn't try to. This visually stunning title places a great emphasis on its narrative, which is both uplifting and devastating – you'll be thinking about this one for a long time afterwards. Nero hopes to tell a touching story, but derivative gameplay, woeful technical issues, and a high price tag get in the way. As a story-focused first-person adventure game, NERO is quite remarkable. It's surreal, heartfelt, bittersweet, and thought-provoking, and that should have been more than enough to carry it without the need for shoehorned-in "gameplay". As it is, it's a very good game, but it would have been so much better if it hadn't tried so hard to avoid the "walking simulator" criticism and just ran with its strengths.